Crookedbrains presents you a collection of 'Coolest and Awesome Integrated T-Shirts' from all over the world. 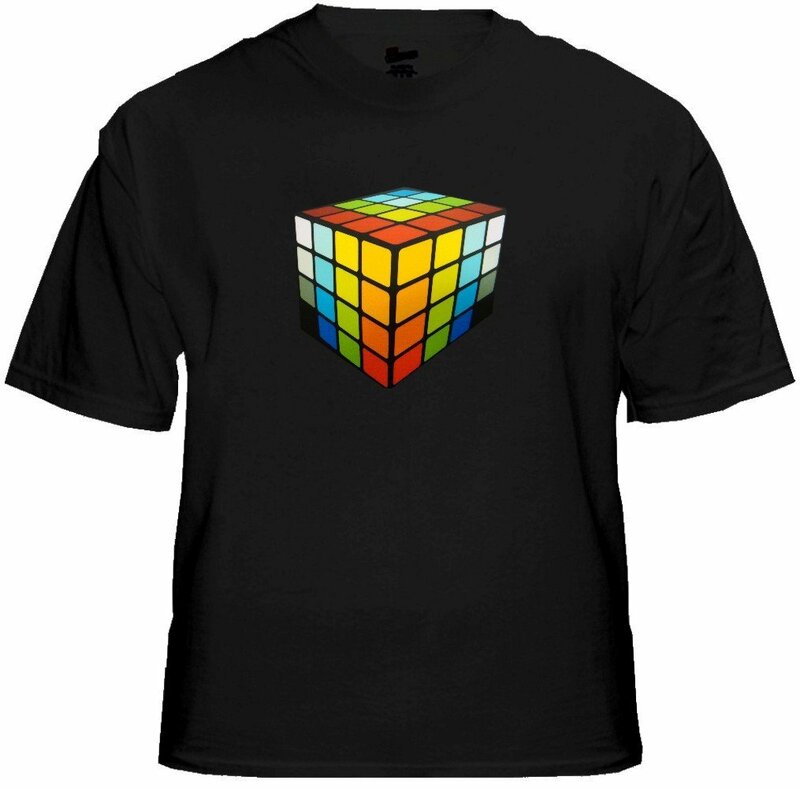 Interactive T-Shirt: Now you can create your own temporary glow-in-the-dark designs on your shirt. Animated Pong T-Shirt: Wear one of the earliest arcade videogames on your t-shirt, powered by concealed pack and glows on push of the button. 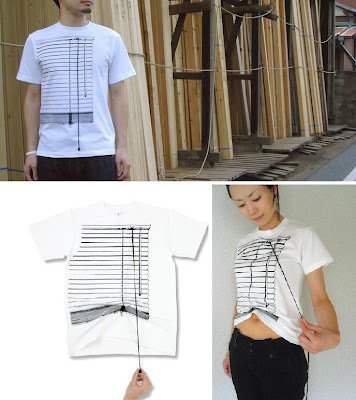 T-shirt Designs by Shikisai: The designers are incorporating the interactivity and the sense of fun through the use of black print on white surface. 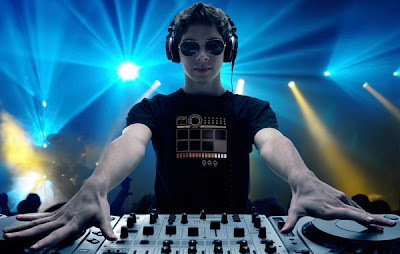 Electronic Drum Machine T-Shirt: Its a fully playable t-shirt based drum machine and looper that comes with 9 different drum kits with 7 professional grade drum sounds each. 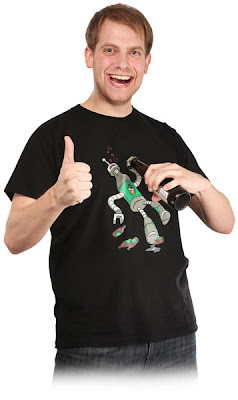 Bottle Opening Shirt: This 'Bottle Opening Shirt' lets you open your bottle with ease. 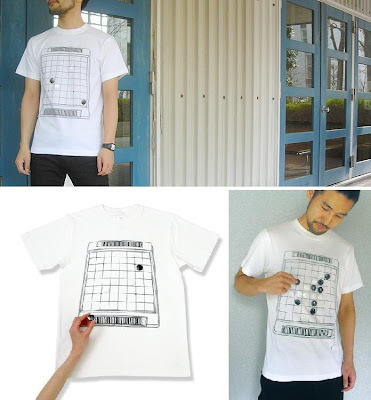 Wi-Fi Detector T-shirt: You don't need to open your laptop to check the Wi-Fi signal status; this interactive t-shirt with a built-in Wi-Fi signal detector will do it for you. 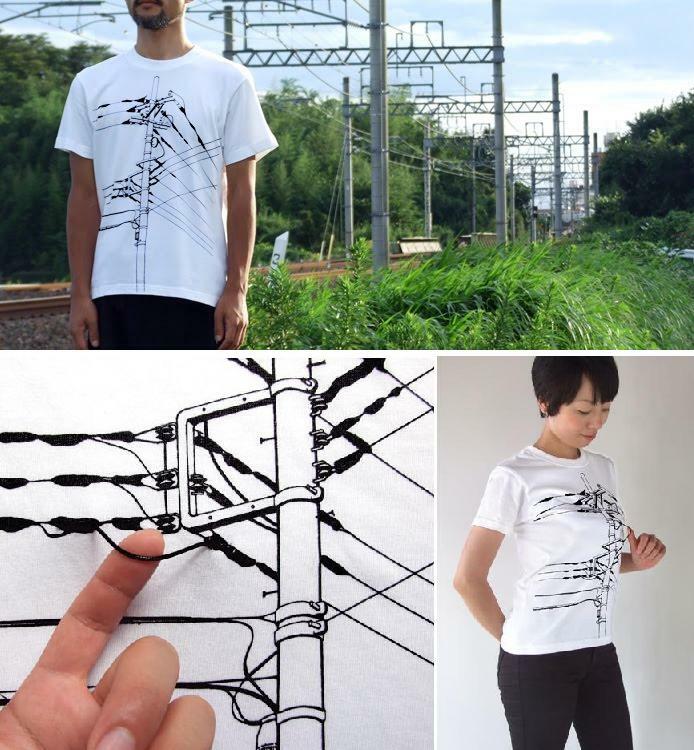 Electronic Guitar T-Shirt: It has an electric guitar built right into your shirt, comes with a mini-amp that clips to your belt and goes all the way to 11. 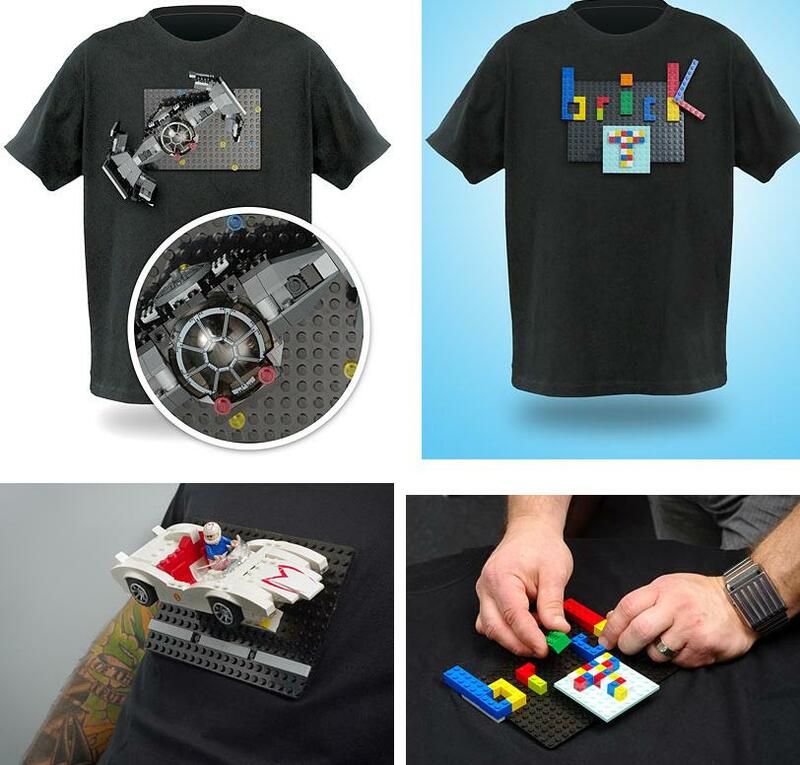 Brick Construction T-shirt: This one comes with the black base plate on the front and is compatible with most toy construction bricks. 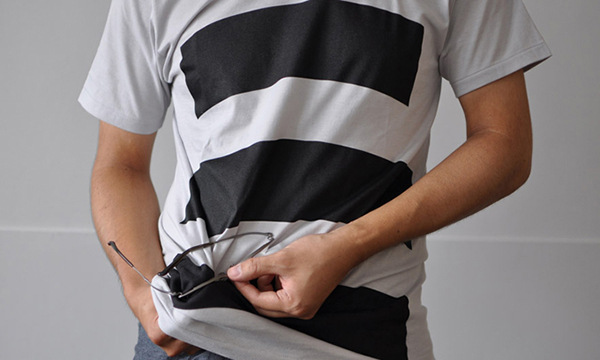 Wipe T-Shirt: This cool wipe t-shirt comes with built-in microfiber cloth for cleaning gadgets and glasses. 3D Cube Equalizer T-Shirt: It comes with a built-in sound activated graphic equalizer, and its ultra-thin panel display lights up and responds to the music. 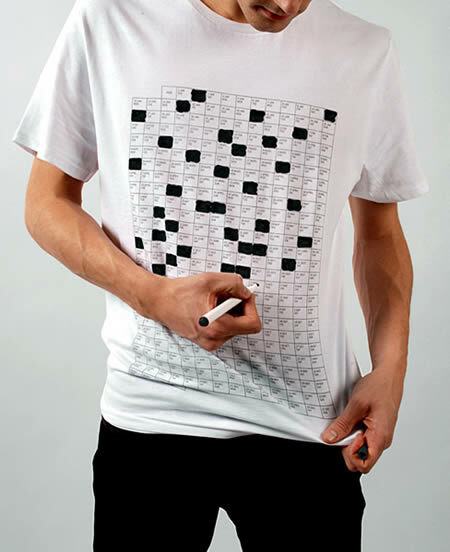 Calendar T-shirt: Comes with an attached pen. 8-Bit Dynamic T-Shirt: Its an interactive t-shirt, when you and your special someone is apart the design on the shirt is partially lit. And when you are together, the design illuminates completely. Plate T-Shirt: The plate is made of high quality, unbreakable plastic that attaches to a classic black cotton t-shirt using a washable hook and loop fasteners. Iron Man T-Shirt: It may look like a standard t-shirt, but it has a light panel that glows similar to the one Tony Stark uses.